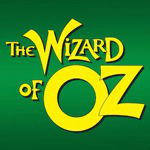 The Wizard Of Oz TRAILER from Rob Matsushita on Vimeo. When spirited Dorothy Gale gets caught in a twister, she finds herself in the merry old land of Oz, accidentally landing her house on the Wicked Witch of the East. Longing to get home, she embarks on a journey down the yellow brick road to visit the Wizard of Oz, who will help her get her wish. Along the way, she meets a Scarecrow, a Tin Man, and a Lion, who seek what they most desire: a brain for the Scarecrow, a heart for the Tin Man, and courage for the Lion. But the Wicked Witch of the West lurks in the shadows, determined to get revenge for the death of her sister, and ultimately Dorothy must conquer the witch in order to get back to the family she desperately misses. Alli Leutenegger, Breanne Wilhite, Michael, Kielty, Megan Jordan, Marcia Dahmen, Ami Eckard-Lee, Kennedy Scace, Jillian Heidenreich, Katelyn Stephens, Aimee Kujak, and Molly Wyss. Olivia Wiegel, Lydia Butler, Jensen Christensen, Kennedy Scace, Elaina Jordan, Sage Eckard-Lee, Amelia Harrington, Kalena Riemer, Melana Brunton, Carissa Winters, Keegan Dahmen, Megan Deprez, Alicia Brunton, Delaney Hoeper, and Bella Brunton.